Each studio has its own fully equipped kitchen with refrigerator, private bathroom with shower, hot water supply, air-conditioning, and its own veranda. 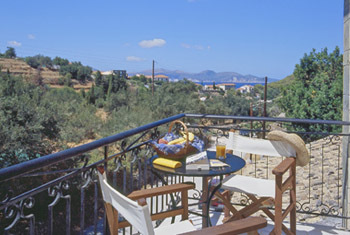 Sofia Studios are located in Assos. This unspoilt village is one of the most famous sights of the island, with its pretty white washed and pastel houses surrounded by a picturesque stone-terraced hilly terrain. with the help of a donation from Paris. The nearby ruined Venetian castle, dating from 1595, can still be seen. A haven of tranquillity where you can find peace in an idyllic setting. 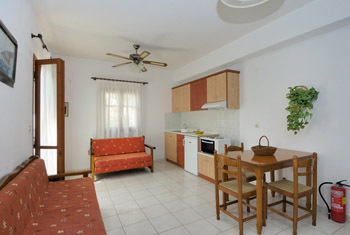 Each studio has its own fully equipped kitchen with refrigerator, private bathroom with shower, hot water supply, air-conditioning, and its own veranda. .